small steps, edging my way closer to fall, books and delicious smells. another new day, a chance to re-start, begin a-fresh. delicious smells of fall, crisp leaves, old, new, worn books, the smell of cider, the chill in the air, steam rising from homemade soup and crackling bread. Old unravels, dirt is reveled, layers are shed, new life is welcomed in. School was started yesterday in my home; children were woken by gentle taps on the shoulders with an accompanying whisper, books layed out and were studied, cups of tea sipped while golden leaves were whipped about outside. Why hello there, fall! We love you so. 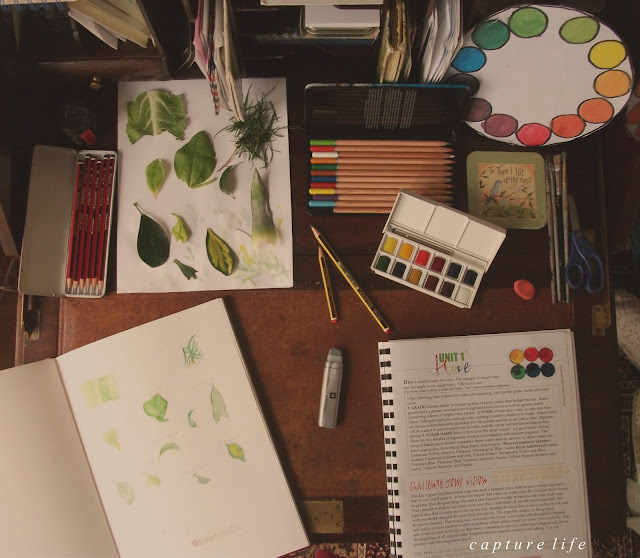 The colors and sensations, the books and baking, oh -- I truly love it. do tell -- what is your favorite thing about fall? I love coffee, sipped on chilly days while hugging my arms tight wrapped in a warm sweater. Endless scarves, whipping in the wind. The crisp air that bites the nose and turns your cheeks rosy. Autumn is a favorite, I love it all. I admire your artwork. I truly wish I had the talent. I love your expanded blog, by the way! My favorite thing about fall is the cold weather. I'm so tired of 107 degree heat!!!! hmmm....I think I like the spirit in the air the best about fall--the air is crisp and has a certain autumn smell, and there's just something different about breathing. 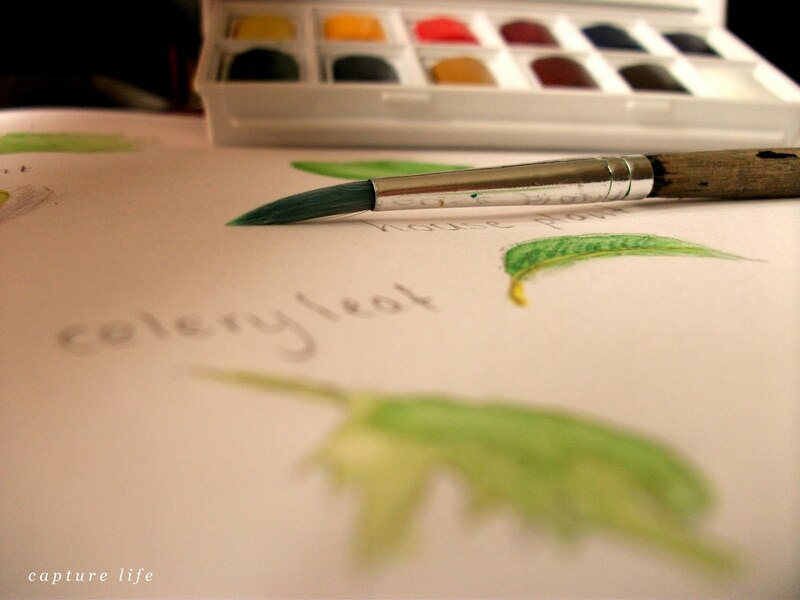 by the way,I love that watercolor leaf drawing! can i just say that you all totally, totally made my day? seriously! @ Grace I use ARTtisic Pursuits -- Senior high. jocee: i can't thank you enough. no, i can't. you are so, so, sosososo kind and sweet. Thanks for the super sweet comment on my blog! I love yours and your photography is amazing! i just randomly found your blog and I thought I'd let you know that it is truly inspiring! you have such lovely photography. I love these pictures of your artwork, such great prospective! My favorite thing about fall is the cool breezes probably! Lovely post! @ madeleine gosh, you so sweet! i'm overjoyed you like my blog. :) thanks for following and leaving that lovely comment! you made my day. The crispness of the air and the kaleidoscope of colours as we move towards the "first frost on the pumpkin"! I also like throwing open all the windows and baking cookies as the very cool autumn air wafts in to greet to me! i miss you. i do need to post more. i hope you don't miss me that much.